Trowulan village and the surrounding area is believed to be the site of ancient capital of Majapahit. Archaeological excavations in the area have recovered many teracotta ornaments, statues, pottery and stone carvings which are displayed at the Trowulan Museum. The map in the museum is a guide to nearby sites of historical interest. The Candra Wilwatika open-air theatre in Pandaan, 45 km south of Surabaya presents classical East Javanese ballet performances on each full moon night from June to November. The performances are based either on the Ramayana stories or East Java’s legends and folklore. The backdrop of Mt. Panangungan makes the performances an enchanthing experience. 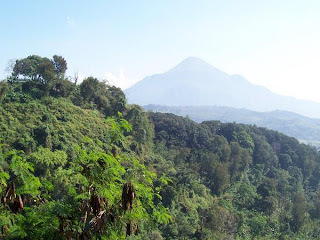 10 km from Chandra Wilwatika is Tretes, one of the most beautiful mountain resorts of East Java.